What is this weather about? I currently have sunglasses, an umbrella, a light scarf and a cardigan all on rotation, while simultaneously trying to bust out my Spring Summer pastels. It is not a good look. 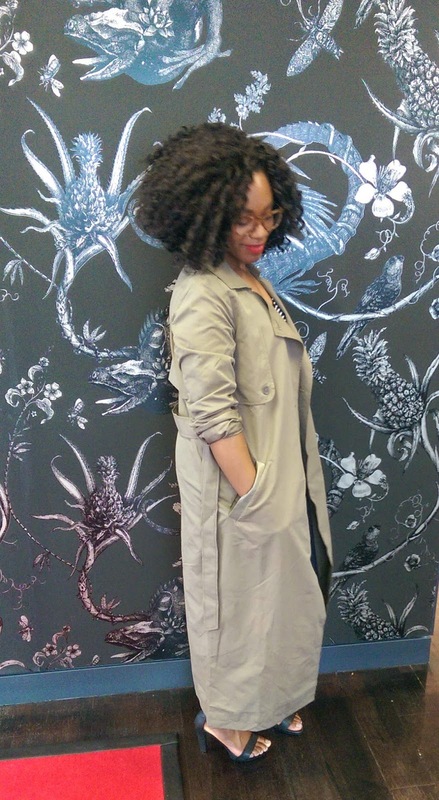 And here's where a classic trench coat with a twist comes to the rescue. 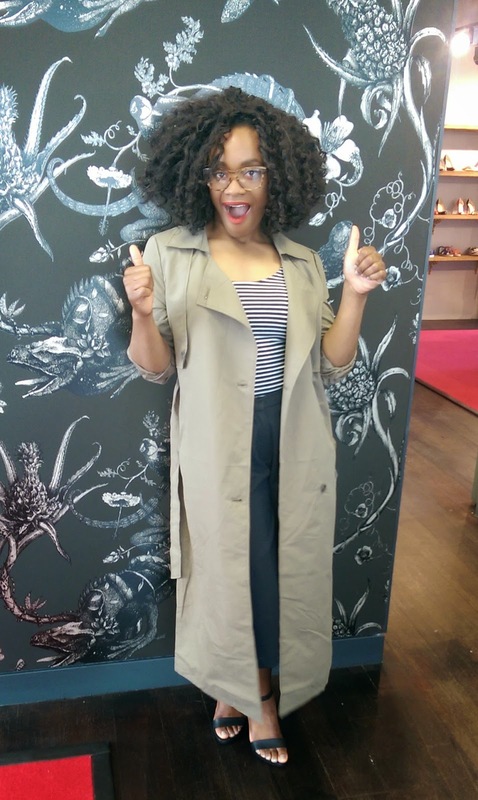 I’ve been on the hunt for a khaki trench coat for a while. I bought and returned this one from ASOS as I thought it was really pricey for a product without lining (yup, I’m getting to that age where things like that equal value for money). 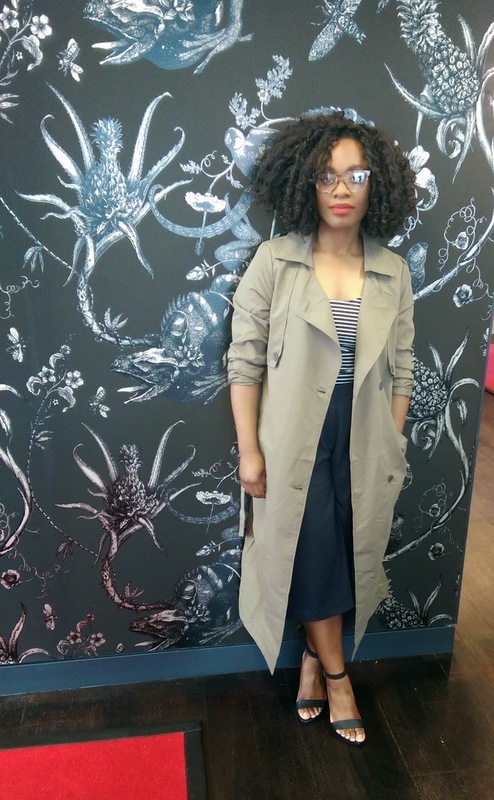 I’d just about given up my search when the ASOS magazine dropped through my letter box and lo and behold, there was my dream khaki trench by Noisy May - a brand I hadn’t heard much of. The label is a sub-brand of Vero Moda with relaxed cool style; the equivilent of what Monki is to sister brand H&M. I. Love. This. Trench. 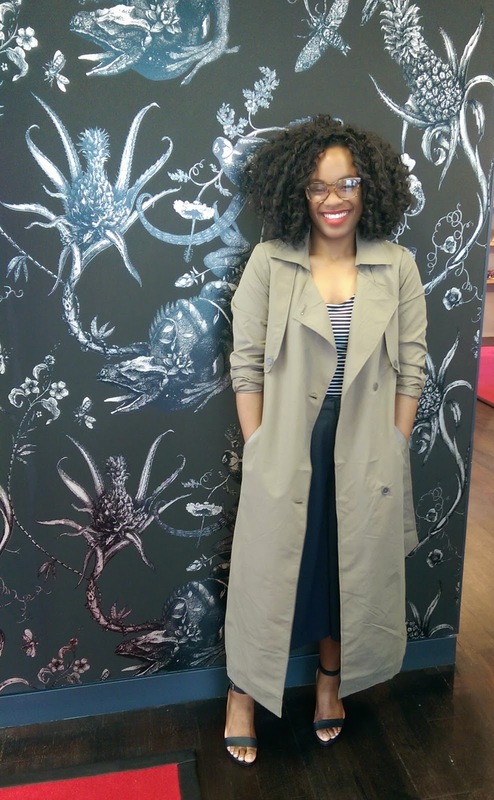 It’s great in the rain, is a lovely light cover up for iffy weather and I love the maxi length. Granted, it would probably fit more midi on someone of an average height, but I don’t think I look like I’m drowning in it. In fact it’s the opposite: I feel like a bawse. A bonus is that with the wind making the maxi fabric billow out behind me, I am totally reliving my childhood at the moment, superhero-stylee. I literally got the last one before it sold out online at ASOS, but I’ve noticed that a few have trickled back into stock. It’s also on sale on the Noisy May website with 25% off at the mo. Go get it now.